General: A new Ethics Board will be seated and ethics training for municipal officers will now occur annually. A law has also been enacted governing the Planning Board and we are working on the requirements of the 2004 law on Minimum Attendance and Training, which needs revision so that our volunteers can reasonably comply. Zoning Revisions: We also conducted an audit of the zoning code on tourist-related definitions and dimensional requirements and enacted a 6-month moratorium. We will be revising several definitions, dimensional requirements and ambiguities in the code with a committee made up of the entire Town Board, with representatives from the Zoning Board and the Planning Board. Revisions will also address “Travel Trailer Parks” and “Tourist Camps.” In addition, we intend to adopt a law to regulate Short Term Rentals (e.g., “Air BnB”, “VRBO”, “Tentrr”, etc.). Comprehensive Plan: We will review the Plan to determine which goals and objectives have been met, are in process, or have not been addressed to lay groundwork for the time when the Comprehensive Master Plan will need to be redone. Grants: Our success securing grants in 2018 will result in a significant administrative effort for the Clove Road Bridge replacement (UCTIPS); Forest Glen Road Bridge re-decking on the Wallkill Valley Rail Trail, and the completion of the Pole Barn at Majestic Park. Sewer: The sewer treatment plant serving the hamlet is at capacity. We have engaged an engineering firm to help examine it and report on how to proceed. Issues include how to sustain the system to serve current users and how to meet future demands projected in the Comprehensive Plan. Software: It is essential that in 2019 we secure new financial management software and enact financial management policies and practices. Long overdue, and not nearly as exciting as much of the work that lies ahead, this need is high on our “to do” list. Miscellaneous: We enter 2019 with: (1) a re-established Open Space Committee, and we see much opportunity given the skills, abilities and enthusiasm of its members, (2) an updated web site, and (3) a Gardiner Day Committee of tireless volunteers which re-invented Gardiner Day in 2018 and spread the joy of Gardiner throughout the hamlet. Also, we look forward to discussions with the ECC on a draft aquifer protection law and with Gardiner’s Senior Citizens on how to build on their study as to how to make Gardiner a senior-friendly place. 2019 will be very busy, and we plan a few ribbon cuttings as well: the pavilion at Majestic Park and the EV Charging Station at the entrance to the Gardiner Library (thanks to Climate Smart Gardiner!). The OSC is conducting outreach to towns in the region to understand how they address the evaluation, acceptance and long-term monitoring of conservation easements. Our intent is to submit a summary of our findings with recommendations for establishing a comprehensive strategy for conservation easements to the Town in the next couple of months. We are also finalizing a database of all conservation easements in town. The Commission continues to work on the Wetlands and Watercourse law for review and passage by the Town Board. Also, members completed training on State Environmental Quality Review Act (SEQRA), and Habitat Identification; we are still looking for two new members and invite applicants to contact town hall; and we are in the process of setting priority issues and welcome input about what residents would like the ECC to address. Contact robertaaclements@gmail.com. We continue to explore converting Gardiner’s streetlights to LEDs, are working to construct our EV charging station at the library (using a grant from the NYSDEC) and supported the Town of Shawangunk in becoming a Climate Smart Community, which they did in December. We’re also working on a municipal fleet inventory to assess GHG emissions and continue to be part of the Climate Action Plan Institute, working toward creating an inventory for Gardiner’s GHG emissions, setting targets to reduce emissions, and making plans to achieve these targets. We plan to share our inventory results with the Town Board soon. We are planning a “Go Green Expo” (Saturday, March 16th, from 1 – 2pm) at the Gardiner Firehouse, with speakers and vendors to educate the public on climate change and promote climate smart actions, like composting, solar panels, electric cars, heat pumps, and home energy audits. We are working on developing bylaws for our Taskforce. 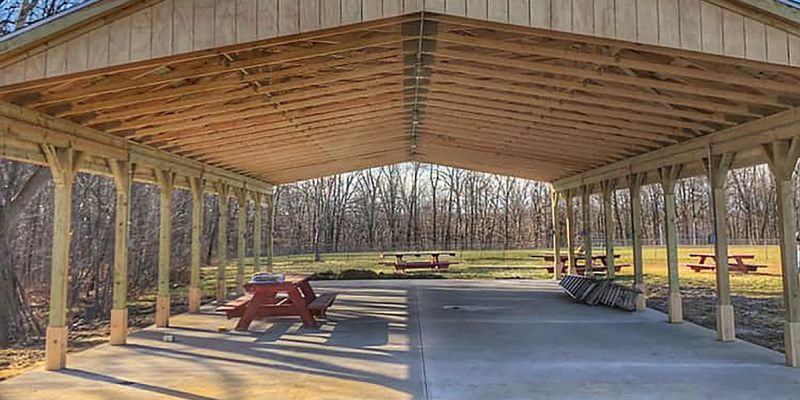 Pending is an application for variances in connection with a proposed subdivision of a 24-acre lot at 143 Aumick Road in the SP district. We will hear the application at our February 28th meeting. New Chair: Brian Houser was asked to step down as Chairman of Gardiner Parks & Recreation by the Town Board and the town supervisor and our committee is still perplexed as to the reason. Brian volunteered hundreds of hours in research into UV Water Filter companies for the Paul M. Mele Community & Recreation Center (a.k.a. the pole barn). He and Ralph Varrano installed the stall dividers in the women’s bathroom. Since 2013 only one woman at a time could use the bathroom. Now four people can use the bathroom at once. Other additions: two tether ball games and new basketball nets. Majestic Park: The committee has a plan to revitalize Majestic Park and presented it to the Town Board. Our main focus has been to complete the inside of the Paul M. Mele Community & Recreation Center, which was erected in 2013, so it can be used and generate rental income for the Town as a community and recreation center. Sadly, it has only been used on Gardiner Day, and for the Gardiner Summer Recreation program in the event of rain. Women’s stall dividers, a UV Water Filter and a kitchen design have been competed in the Center. Our goal is to have the kitchen complete by the end of 2019; three-season rentals of Center; a paved parking lot around the Center; and better outdoor lighting. Discussion at our last meeting was to give the responsibility to complete the Center back to the Town. Fundraising: We are working with the New Paltz Community Foundation, Inc. (NPCF), a 501c3, on fundraising efforts since there isn’t much money budgeted for Gardiner Parks and Rec. NPCF, Inc. is currently accepting funds for the revitalization of Majestic Park. To make a tax-deductible donation, visit newpaltzfoundation.org/take-action and indicate the donation is for Gardiner Parks and Recreation. Winter Potty: Committee member Roger Ennis went before the Town Board to seek approval of renting and installing a port-a-potty at Majestic Park for the winter months. It was approved, and as of this writing there is a port-a-potty at Majestic Park. Trail Bikes: Committee member Michael Albright has a passion for riding trail bikes and is working with local riding organizations like Fats In The Cats to create low maintenance trails that can be used by the community to bike, hike, snow shoe and cross country ski. Gardiner could have trails similar to the new River to Ridge trails, built in New Paltz, which are already used often. Michael has walked and flagged the proposed trails with Fats In The Cats and with Town Board member Dave Dukler. He will present a proposal at the March Town Board meeting. Facebook: We want to hear from you about what you would like to see happen at the park. Reach out to facebook.com/GardinerParksandRecreation.